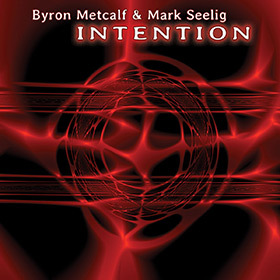 Byron Metcalf & Mark Seelig join forces again to focus and intensify the transformative power of their musical collaboration. INTENTION is a totally acoustic, transcultural tour de force of multi-layered tribal-ambient rhythms, indigenous instruments, and mesmerizing soundscapes – expertly crafted to evoke shamanic states of consciousness. Contains five long tracks from 10 to 22 minutes.